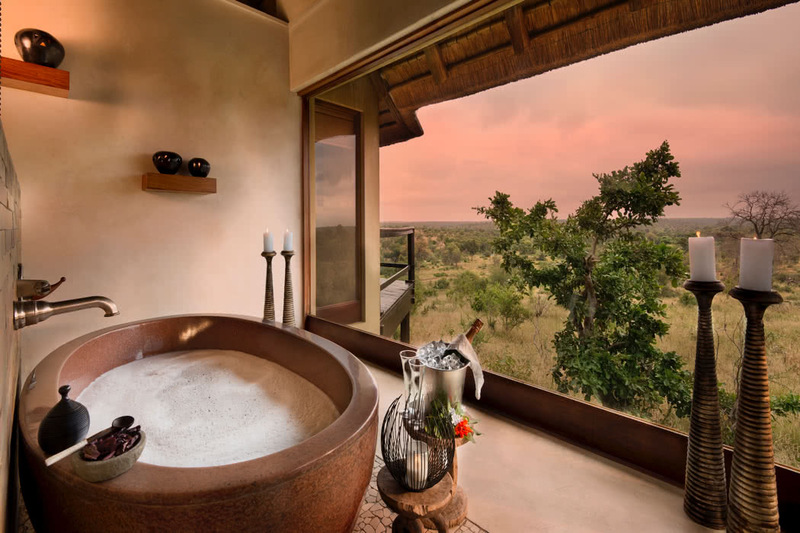 If the sound of an exclusive African adventure in complete privacy gets your heart racing then you definitely need to check out the gorgeous Makumu Private Game Lodge in South Africa. 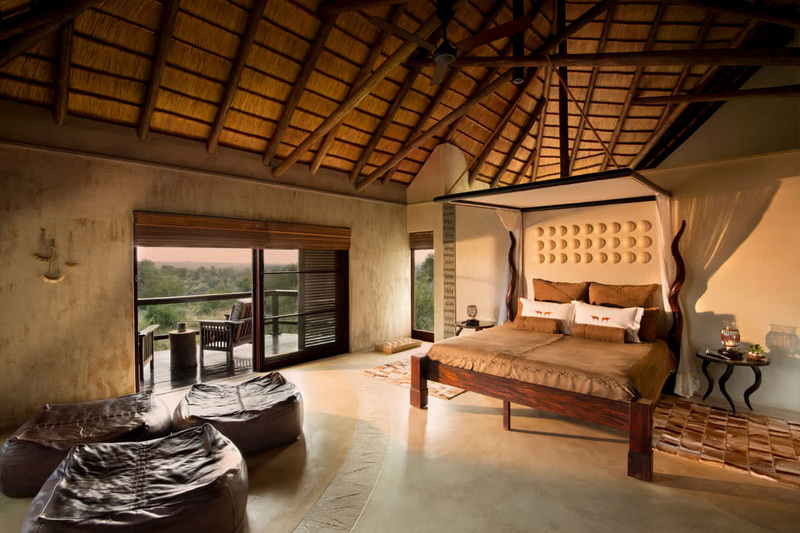 The lodge is located in the ‘Big Five’ Klaserie Private Nature Reserve in Hoedspruit, South Africa. 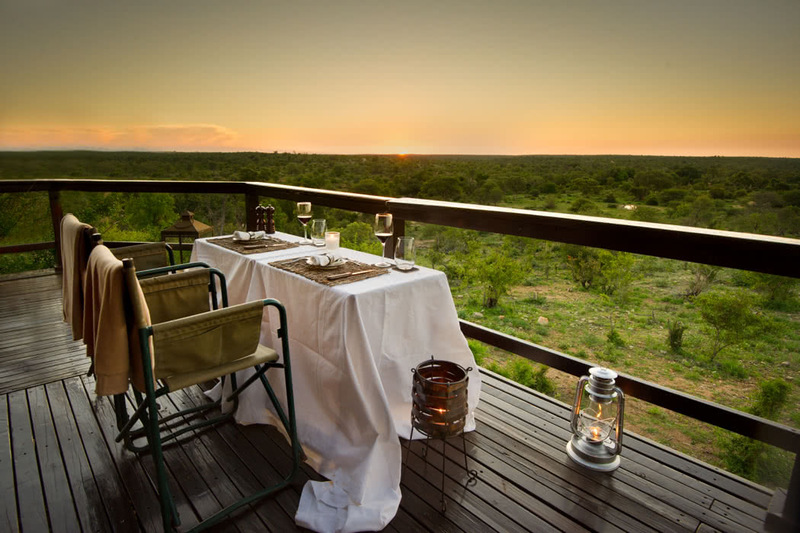 The Klaserie Private Nature Reserve is one of the largest privately-owned reserves in South Africa, covering some 60,000 hectares and forming part of the greater Kruger National Park. 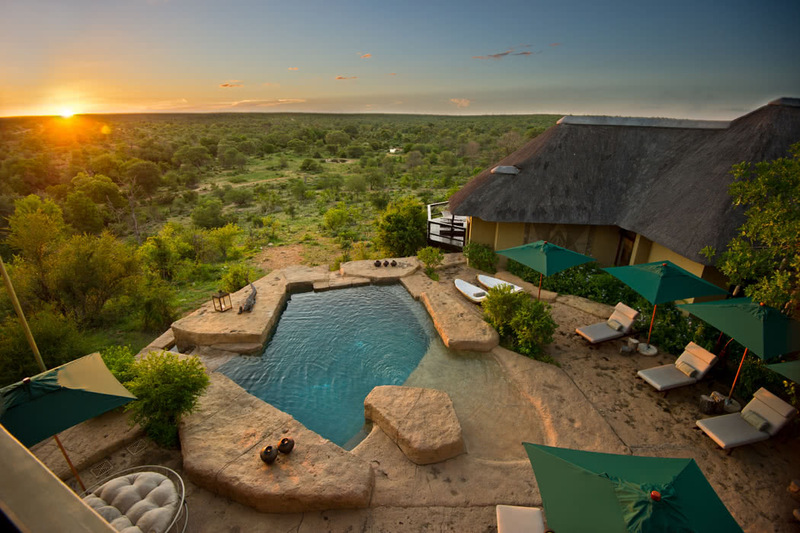 You are entirely surrounded by the harshness, unpredictability and unspoiled beauty of the African bush, the perfect stage for an adventure. 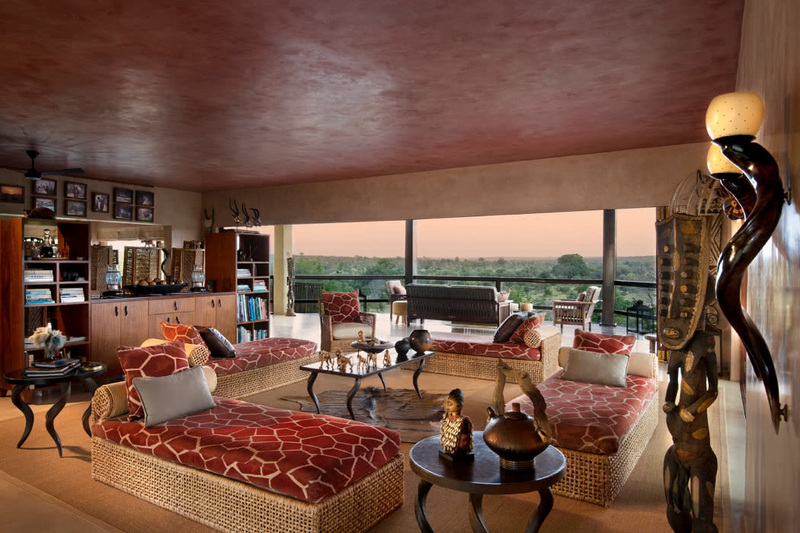 Makumu is a beautiful, intimate oasis. Wild and yet luxurious. 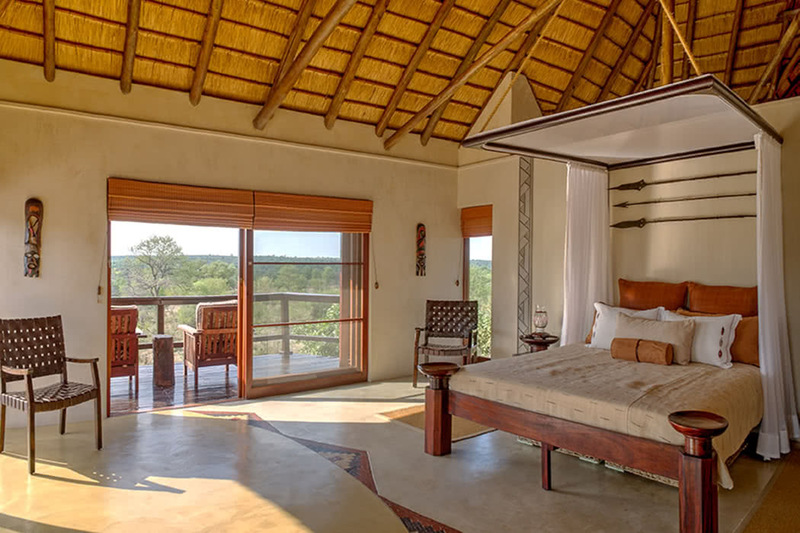 With just three beautifully appointed villas, accommodating a maximum of twelve guests, there is a real feeling of exclusivity and the lodge is about as serene as the wilds of Africa can be. 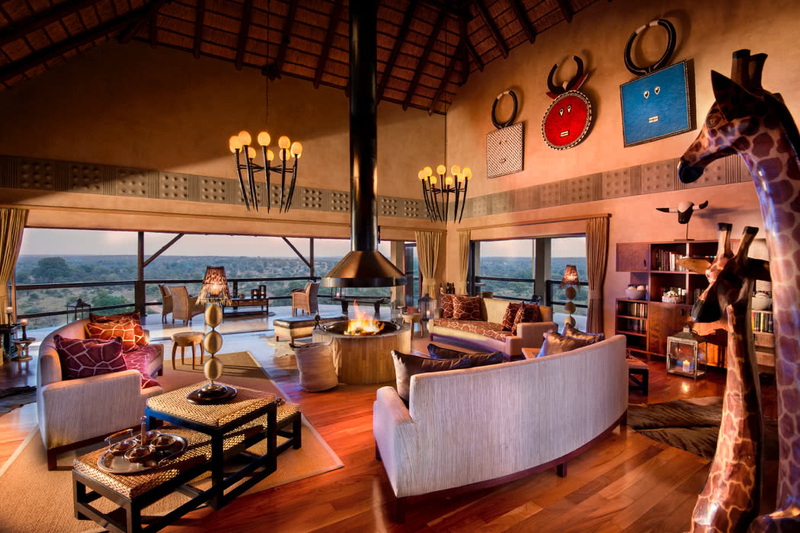 The lodge itself is chic and beautifully African with earthy colours and rich textures. 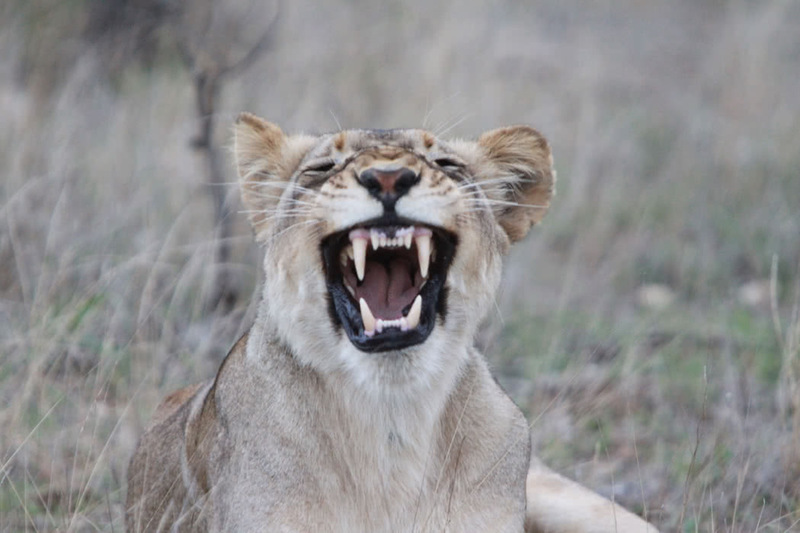 At Makumu you have many options for game viewing activities and there are no fixed itineraries. There are morning and afternoon drives in open Land Rovers for you to take as you wish, as well as drives at sunset for an incredible night safari. 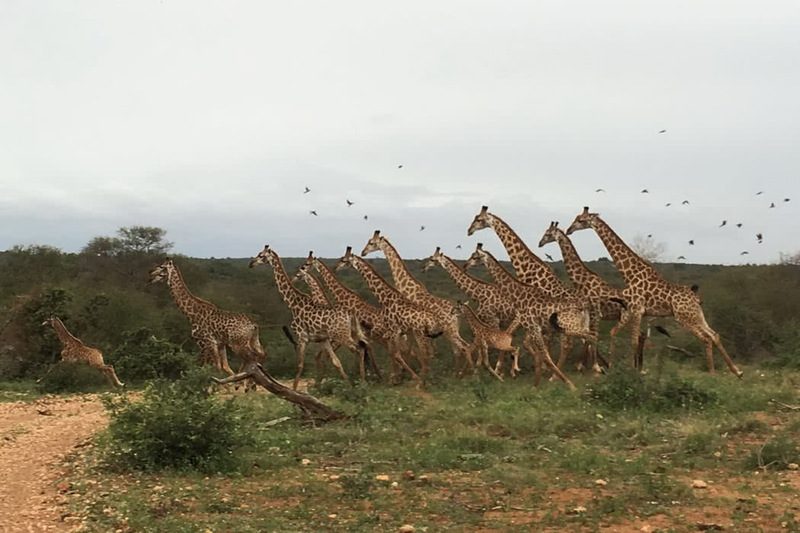 You can explore the walking trails, track big game on foot, bird watch from a hide or quite simply stay near the lodge and see who decides to pay a visit! 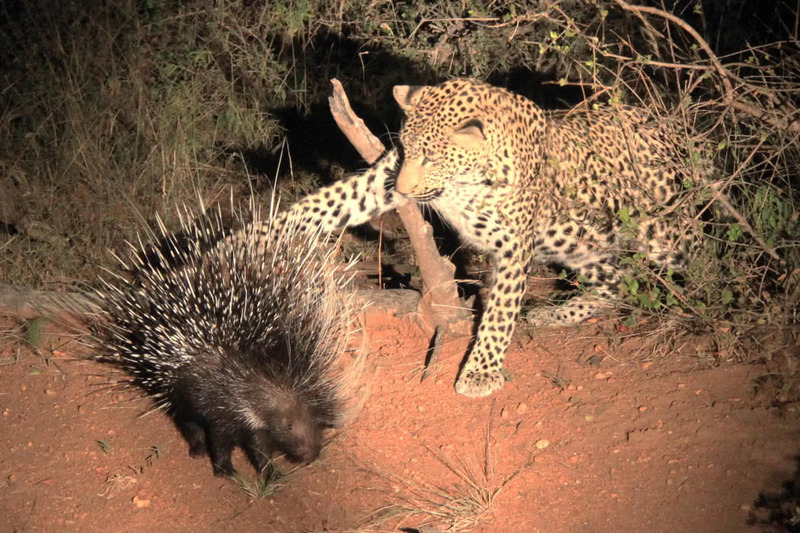 Pearl spotted owl, giraffe, hyena, wild dog, zebra, warthog, elephant, antelope and vervet monkey are amongst the frequent visitors. 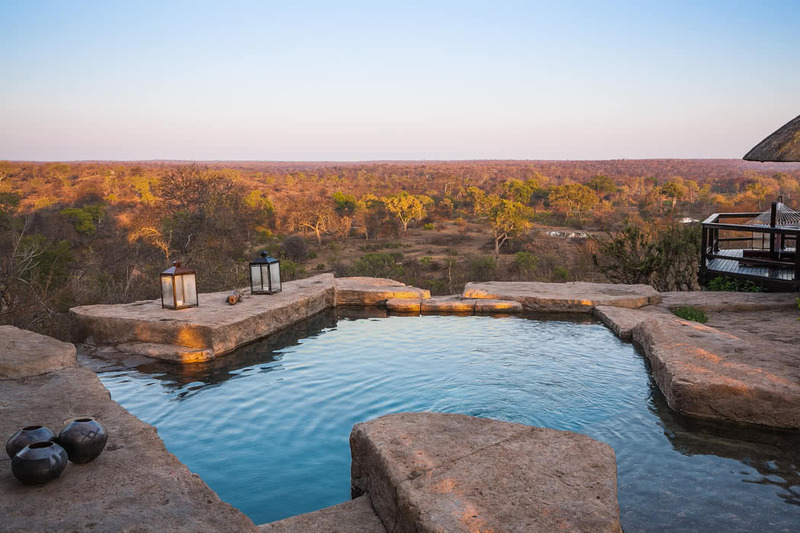 Top tip – you’ll get the best view from up in the Tree House overlooking the waterhole. 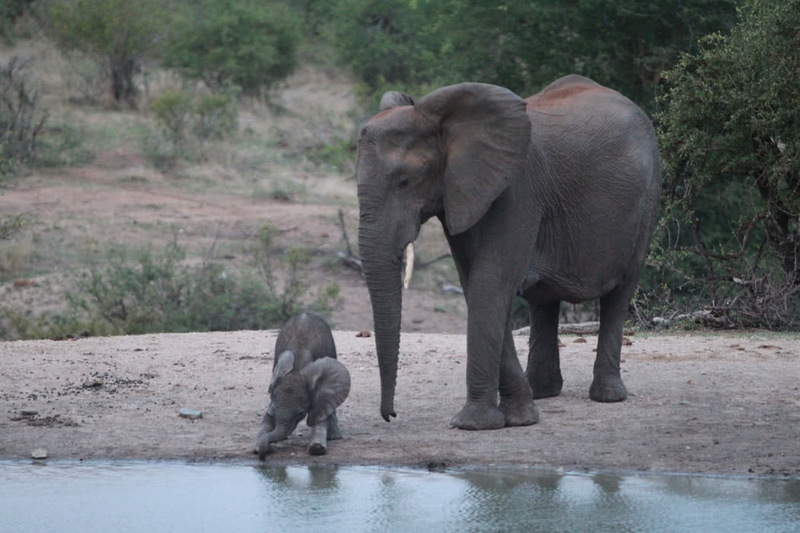 When you want a breather, there’s a tranquil swimming pool, where you may or may not find a passing elephant herd quenching their thirst! The service here is beyond compare; exceptional, so friendly and they seem to anticipate what you need before you even know yourself. 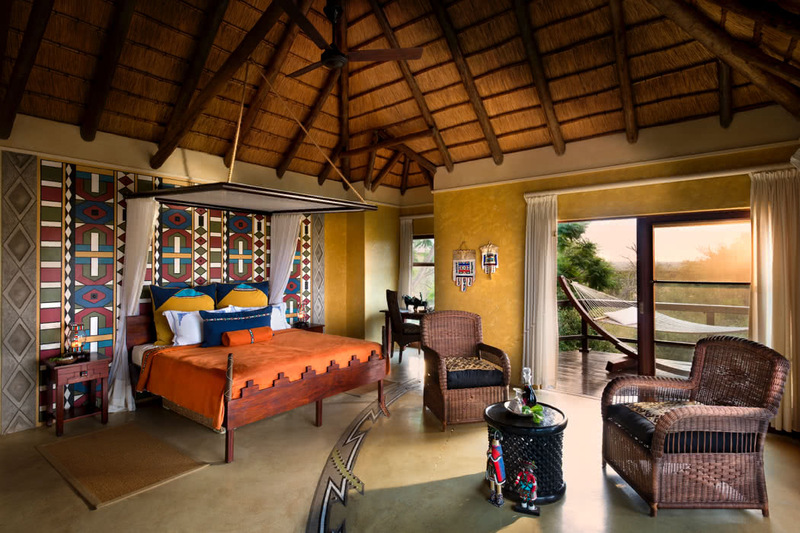 Choose between the Bushman, Ndebele or Zulu Villa, each inspired by the tribe of the same name and all totally beautiful and unique. They are all very spacious and open with huge high ceilings, two bedrooms and an indoor and outdoor shower in the ensuite bathrooms. 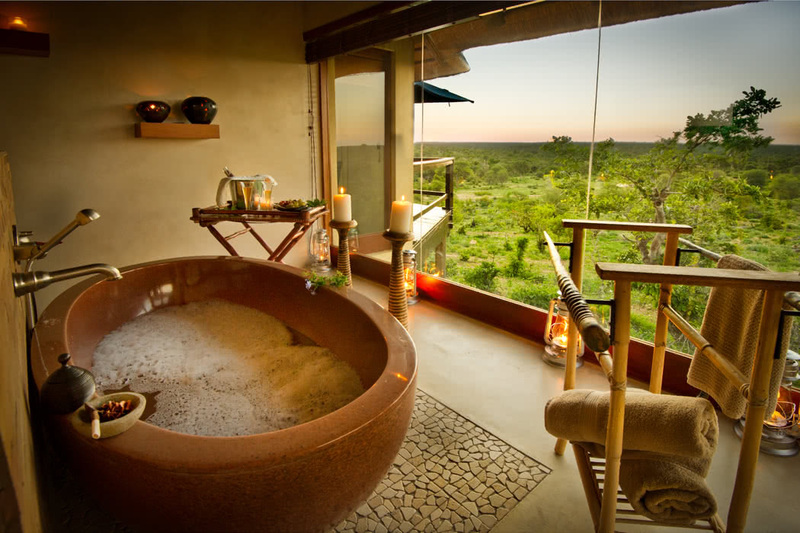 Relax on the decking and lay back in your hammock after a hot game drive or better still, soak in the perfectly positioned ‘tub with a view’; you’ll never bathe anywhere quite like it! 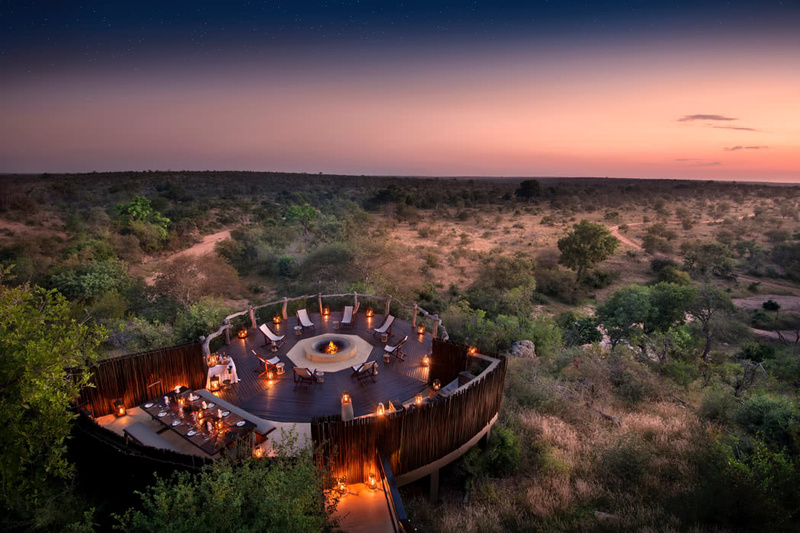 The food here is special and where you dine perhaps even more so; some nights you dine on the wooden Boma Deck by candlelight and others you might eat in the wilds, set up right by the dry river bed. Your stay is all-inclusive and the cuisine is delicious. 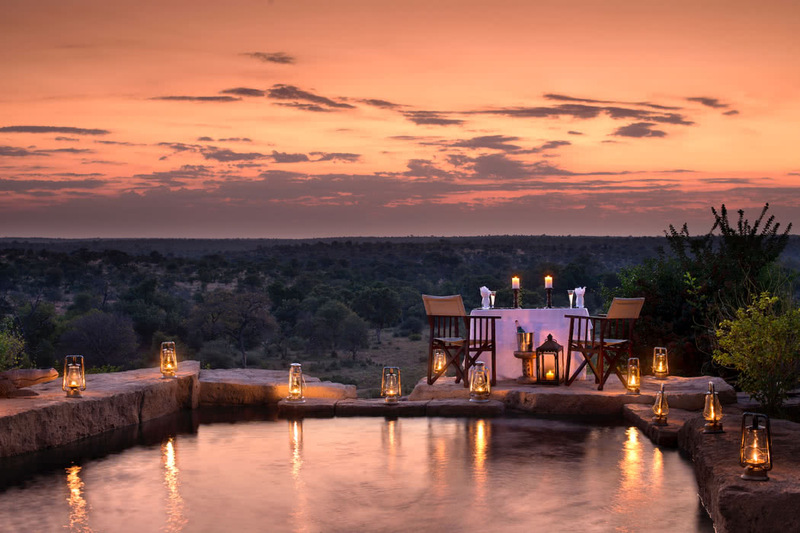 Quite often there is a barbecue involved and the evening more often than not ends cosying around a roaring fire or with a drink at the hanging bar upstairs watching the sunset over Africa.